Before beginning I'll preface by saying we began our evaluation with the Fitbit Force but after Fitibit discontinued it due to skin irritation issues, we decided to replace it in our comparisons with the Flex. In most respects, this review should cover both. The main differences are that the Force tracks stairs and has a full display. In other aspects they're technically identical products. My first impression of the Flex was that it was lightweight and comfortable to wear. I don't particular care for the clasp type though. It's easy to snag on clothes, particularly jackets. It also is somewhat awkward to take on and off. Be sure to listen for an audible 'click' when putting it on to make sure it's secured well. Moving past the clasp, the actual tracker itself gets past decent battery life due to the low maintenance display. There are only five indicator lights which represent 20% each of what you have already completed for your daily goal. For example, if steps are your main goal and you set your goal as 10,00 per day, the Flex will light up an indicator light for each 2,000 steps you walk. You can change your goal inside the Fitbit app to represent steps, calories, or distance. The Fitbit app itself is where most of your data lives since it's what the Flex transmits it to. You can then compare data over several days or months as well as track weight and sleep. The sleep logging feature has the ability to track deep sleep and light sleep. There are sensitive sleep modes as well so if you don't want it to track things like rolling over, disable it. The Flex does a decent job of tracking sleep but I didn't find the data to be as accurate when compared to that of the UP24. It definitely isn't a deal breaker though. I also haven't been pleased with the way fitness tracker apps handle food tracking. Fortunately there are lots of other apps out there that specialize in it that can pick up the slack. Fitbit isn't alone in this instance though so I don't ding them for it. It would however be nice to see them tie in third party support for apps like My Fitness Pal. This is a feature I really like about the UP24 app. The Fitbit system doesn't just track active calories but calories you burn just being alive. So don't be surprised if you see that you've racked up calories just sitting. It takes energy to just be alive and that's where those come from. However, I do feel that Fitbit overcompensates for calories and steps. During several workout sessions the Flex and Force both showed far more steps and calories burned than it should have. Other trackers weren't spot on either but they were closer together and more accurate in my experience. 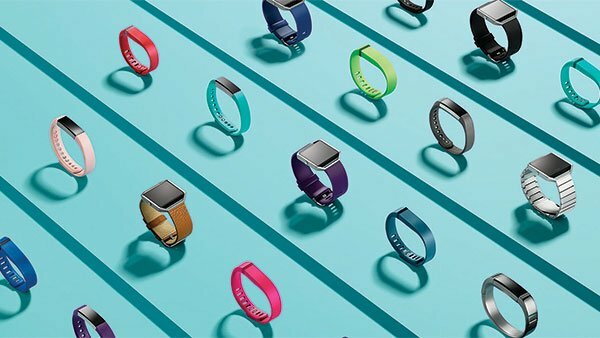 The Fitbit Flex is one of the most versatile trackers when it comes to style but it isn't the best on the market where accuracy is concerned. Unforunately I had a similar experience with the Force which concerns me and makes me lean towards other offerings instead.